In 2019, we're celebrating 20 years of CCW and groundbreaking industry growth and innovation. Don’t miss the biggest celebration of the year for customer contact champions. 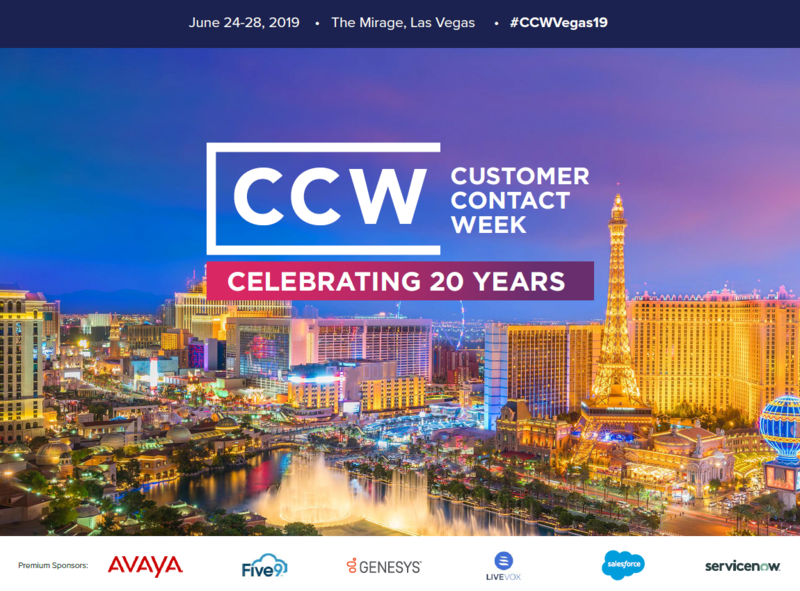 Our 20th anniversary delivers 7 tracks of cutting edge content, 80 interactive discussion groups, and an expo hall with nearly 200 customer-centric solution providers: the biggest and most robust CCW ever! Come learn, source, and celebrate with us in style this coming June 24-28 in Las Vegas! To get a copy of the full event guide, contact us here.